Monday UPDATE UPDATE: Here are your weekend actuals, hey looky there, Pompeii got $300K closer to recouping its $100M+ price tag. Sunday UPDATE: The blocks continue to build bigger bank. Fresh off news of a May 2017 sequel, The Lego Movie took a third-straight title, dipping just -37%, raising its 17-day total to $183M. As expected, the newbies offered zero resistance, Kevin Costner's 3 Days to Kill and the $100M+ budgeted Pompeii each went with a whimper, auds dismissing the glorified direct-to-DVD projects as another – Non-Stop – steps up to challenge the interlocking bricks next weekend. Three-peat. As we predicted well before its assembling, The Lego Movie is precisely the blockbuster we expected it to be, a film that's become what few films have — a phenomenon. Using the last phenom – Frozen – for comparison, the Legos banked 10% more in their first 13 days in theaters than the princess sisters. And this weekend, with the added bonus of truly cruddy competition, the interlocking blocks are set to smash up the joint again — Warner Bros. built it and they have truly come. 1. 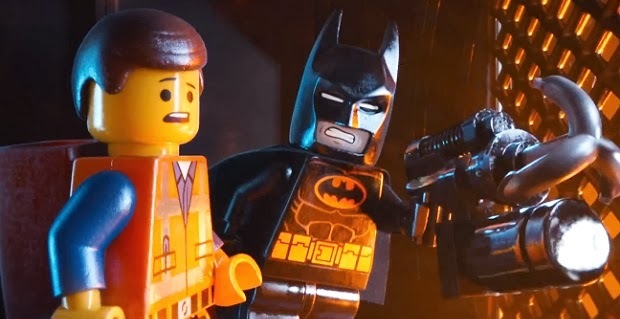 The Lego Movie $38M - Taking the bricks down -25% weekend-to-weekend, an even less-diminutive drop than their second frame. Closing in on the $200M mark stateside, AKA we so told you so. 2. About Last Night $14M - Decent reviews plus A- CinemaScore equals better than expected hold. 3. 3 Days to Kill $11.5M (↓) - Relativity is on the verge of learning why Kevin Costner hasn't been asked to carry a flick since 2008's blink-and-you-missed-it Swing Vote. 4. Robocop $10.25M - After 8 days, the '80s remake has banked less ($33M) than Sony anticipated opening weekend. 5. Pompeii $10M (↓) - The bum of the "Anderson"-named directors could likely see his latest work incinerate upon arrival. 6. The Monuments Men $9.5M - Doing decent business on name recognition with the elder set.